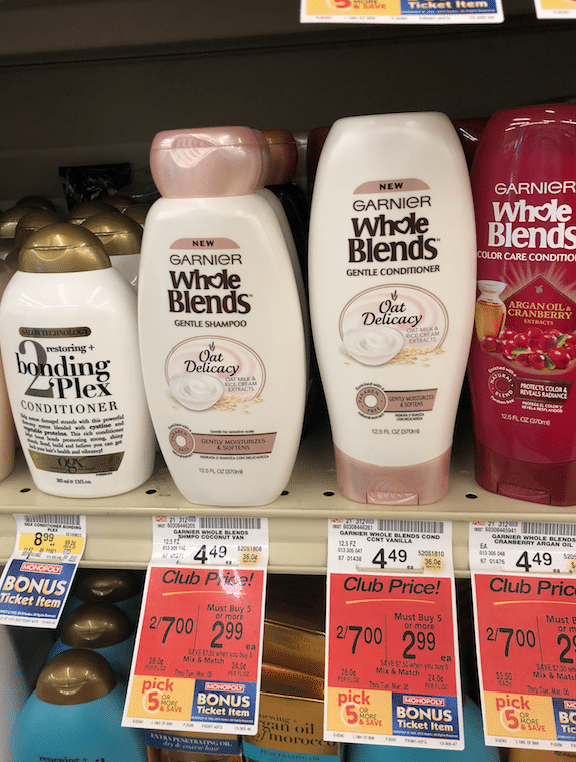 Get clean hair for the whole family on the cheap with this incredible deal on Garnier Whole Blends Shampoo and Conditioner and Garnier Fructis Shampoo and Conditioner at Safeway. 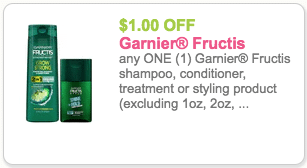 Both Garnier Whole Blends and Garnier Fructis hair care lines are on sale for $2.99 with the new pick 5 or more promotion through March 5th. There are new insert coupons available in the RetailMeNot insert from 3/4 to bring the price down even further. 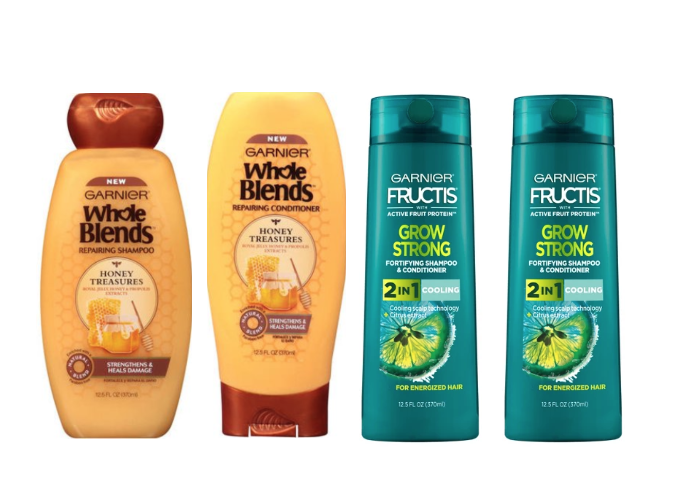 Pay just $.99 for Whole Blends hair care and $1.49 for Garnier Fructis. Normally $4.49, save up to 78%! BONUS – This is a Monopoly Game Ticket Item. Read all about how to play Monopoly at Safeway here. SuperSafeway is a blog devoted to helping you find the best deals at Safeway in the Denver division. 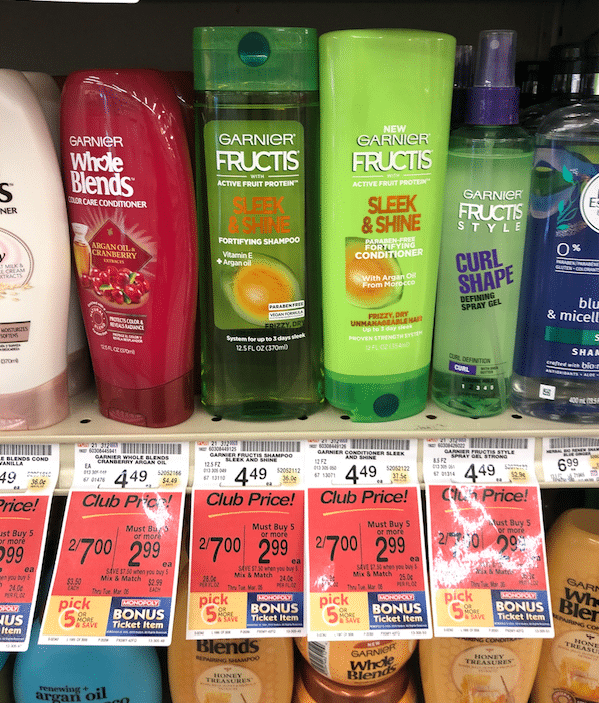 Every week we slice and dice the ad and tell you the best deals at Safeway with and without coupons. For more low prices, check out Super Safeway’s weekly ad coupon matchup page. Want to stay updated on the best deals? If so, make sure to like Super Safeway on Facebook, follow us on Twitter, Instagram, Pinterest, and subscribe to our newsletter.